It must be said that we have entered a new era of Dortmundom. Reaching the Champions League Final and returning to the pinnacle of European football, after the 2012-13 season it can officially be said that BORUSSIA IS BACK. After a nightmare period where we were on the brink of extinction, Borussia Dortmund won a historic double and followed it up with a Champions League Final appearance. But for some, this season's exploits were overshadowed by the treason that occurred. There is no reason to mention the two players' names. Now, however, before the 2013-14 season has even officially begun, I am beginning to wonder what all the media fuss was about. Dortmund's team looted and finished! Robbed of its stars, Borussia will crumble! Dortmund's successful run comes to an end! And all of that garbage. Funny how the outlook changes. With the signing of Mkhitaryan, many in the media are suggesting he could be better than the previous number 10. Aubameyang is arguably as fast as Usain Bolt --- but he for sure is quicker than even the speedy David Odonkor (and he has already scored half as many goals as Odonkor did in 86 games!!! and Auba actually has a left leg on his body too)--so he's got that goin' for him...which is nice. 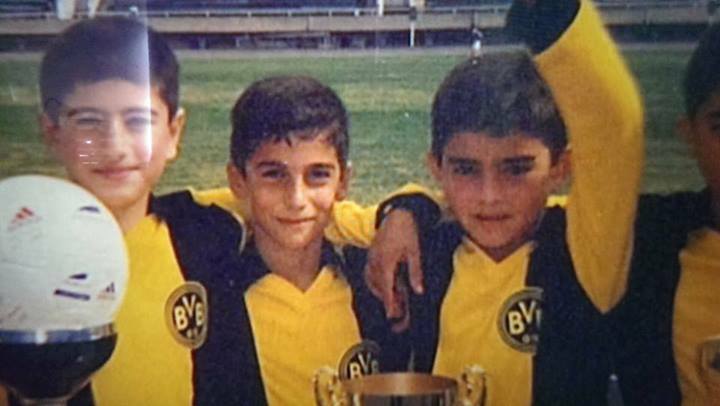 Sokratis is also one of the fastest defenders in the Bundesliga and has learned the trade under greats like Nesta and stars like Thiago Silva. With the "loss" of Shitze, Dortmund signed two dangerous attacking players, one a Schaltzentrale and one a speed demon; and with the loss of Shitana, we bring in a player that can defend and pass, as opposed to an error-prone beanpole whose wild passes, poor marking, erratic defending and terrible clearances won't be missed. Many in the media have talked about the alleged "losses" of big players, but to me it looks like we are only stronger. Auba and Miki have both already scored to get the monkey off the back. Also, can we talk about that young lad Jonas Hofmann? "Hervorragend" (Outstanding--Zorc, 2013). Where are the fussball know-it-all's there? Looking at a future star. And if you have a player who thinks only of himself and is willing to turn his back on his teammates in the way he did, then his leaving is anything but a "loss". In fact, 2014 may be proof that Dortmund are only better because of it. The media and many of the world's soccer audience is wrong -- Dortmund is not finished. It is only the beginning of a new era. 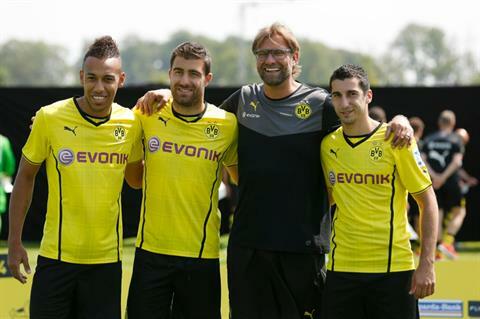 And with Klopp in charge I believe that Borussia Dortmund will again be champions in 2013-2014...on what front(s)? Only time will tell.